The extent and potential for confrontation between the major powers is significantly lower in Central Asia than in the Asia-Pacific region (APR), Eastern Europe or the Middle East. The potential for cooperation is greater because Russia, China, and especially the United States have no vital need to dominate in the region. Therefore, none of these three powers will unleash a war against the others for the sake of Central Asia – as compared to Europe or Southeast Asia, for example. This fact alone could serve as a powerful resource for the development of trilateral cooperation that could become deep and substantive, or remain non-binding in character. 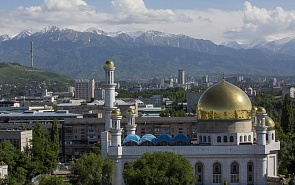 The authors of this report believe that Washington, Moscow, and Beijing hold significant resources for cooperating to provide elements of regional security in Central Asia. Maximum effort should go toward advancing the common good so that confrontation does not dominate the agenda. It is from the report that you can learn about the potential areas and opportunities available to them for cooperation. Timofey Bordachev, Programme Director of the Foundation for Development and Support of the Valdai Discussion Club, Director of the Center for Comprehensive European and International Studies at the National Research University – Higher School of Economics, Ph.D. in Political Science. Wan Qingsong, Research Fellow of the Center for Russian Studies (the National Key Research Institute of Humanities and Social Sciences under the Ministry of Education of PRC), School of Advanced International and Area Studies at East China Normal University; Research Fellow of the Center for Co-development with Neighboring Countries (University - Based Think Tank of Shanghai); holds a Doctorate in Political Science. Andrew Small, Senior Transatlantic Fellow, Asia program, German Marshall Fund of the United States.